Good Cook sent me this Good Cook 3-piece Bowl to facilitate this post. All opinions are my own. So it’s summer and that means that fresh fruit is everywhere in grand abundance. When Good Cook offered to send me this massive 7 quart Good Cook 3-piece bowl, I knew it would be a great fit for our lifestyle. We practically live on fresh fruit around here during the warmer months. We use it in smoothies, eat it fresh and even have been known to grill it from time to time. 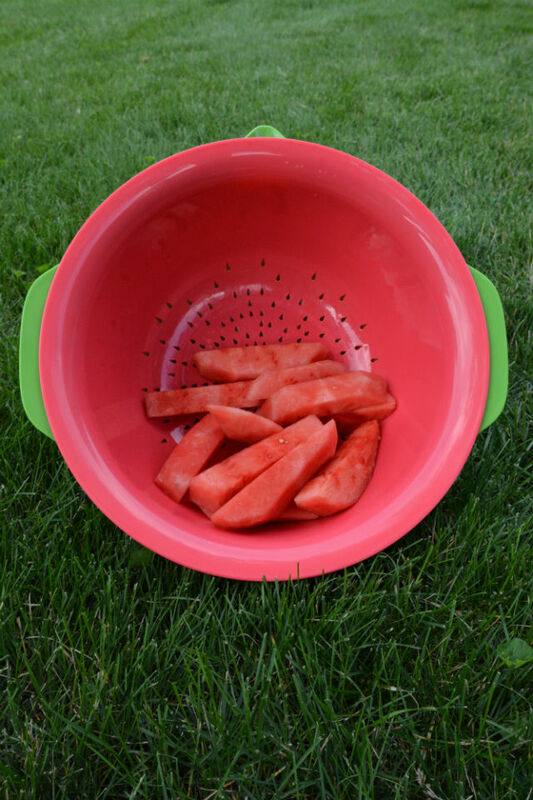 This big bowl just cries out for any kind of juicy melon as it has this great strainer bowl that allows fruit juices to collect in the bottom of the first bowl to keep your fruit fresh longer. But I thought what could I do with watermelon that’s new and different? Grill it! 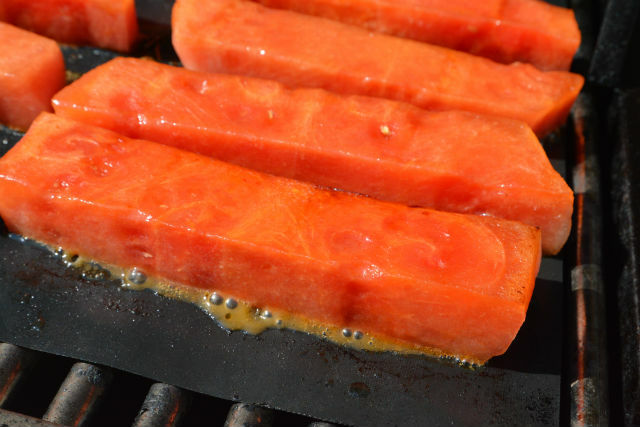 That’s right, I’m going to expand your watermelon horizons with grilled watermelon. My family was a little skeptical as they’ve never had grilled watermelon before, but I’m always willing to try something new. Plus this struck me as something avant garde you might find at a fancy restaurant in downtown Chicago this summer. Plus it’s easy. I’m all for great flavor with a quick prep and cook time. Just make sure you don’t skip the balsamic vinegar, it really kicks up the wow factor. 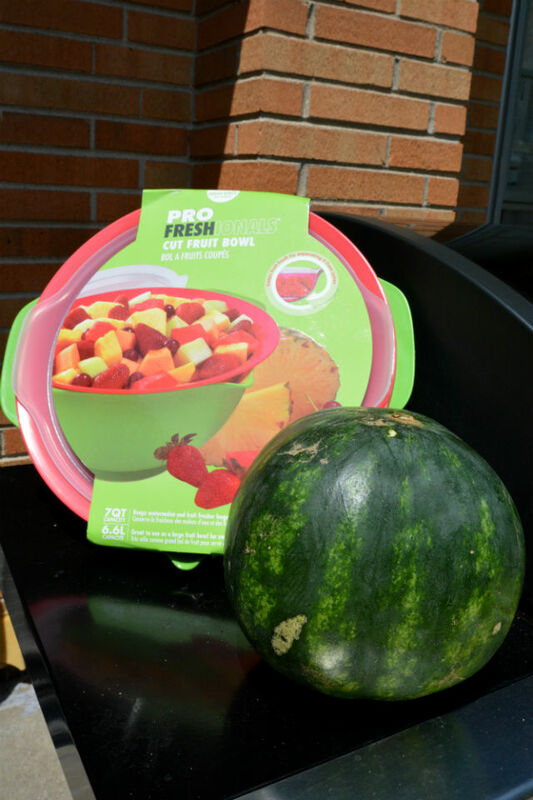 First you’re going to want to follow the instructions on how to cut the watermelon on the inside of the bowl label. Basically we’re removing the entire rind while leaving the inner part of the melon intact. Once you’ve done that you’re going to cut it into inch thick slices and those slices into inch thick strips. At this point, I dumped it all into the Good Cook 3-piece Bowl and chilled in the fridge till I was ready to make grilled watermelon. Here’s your instructions, now go off and grill! This product is exclusively available at Bed Bath and Beyond. Watermelon on the grill. Don't be afraid it is delicious with balsmic! Heat your grill to medium-high heat, 450 degrees (I used a gas grill and a thin grill sheet to prevent sticking). 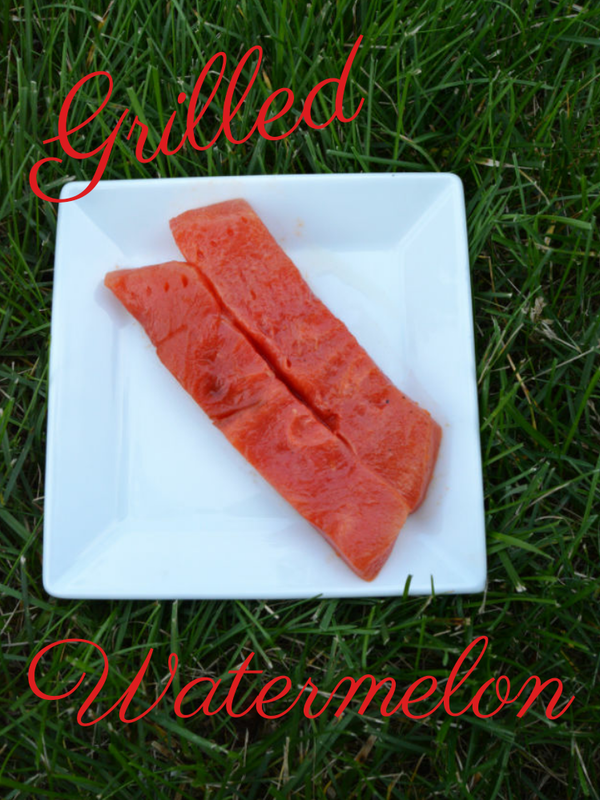 Brush all sides of watermelon strips with melted butter, place on grill. Grill each side at least 5 minutes. Remove from grill, if not sweet enough brush with agave nectar. Serve warm, either drizzled with balsamic vinegar or on the side to dip.